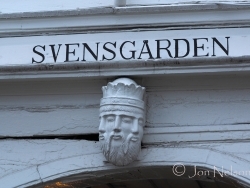 Posted January 17, 2015 in Buildings, Monuments and Miscellaneous Items. 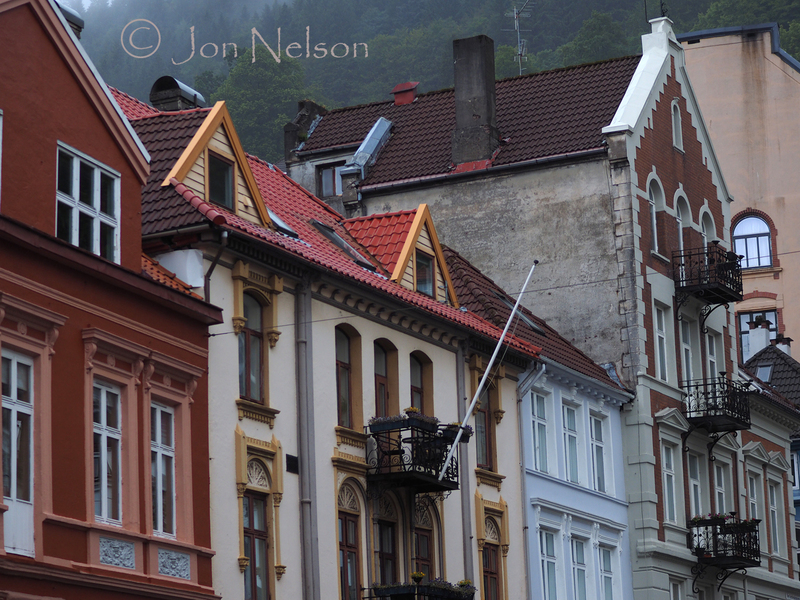 Bergen is a wonderful city on the west coast of Norway. 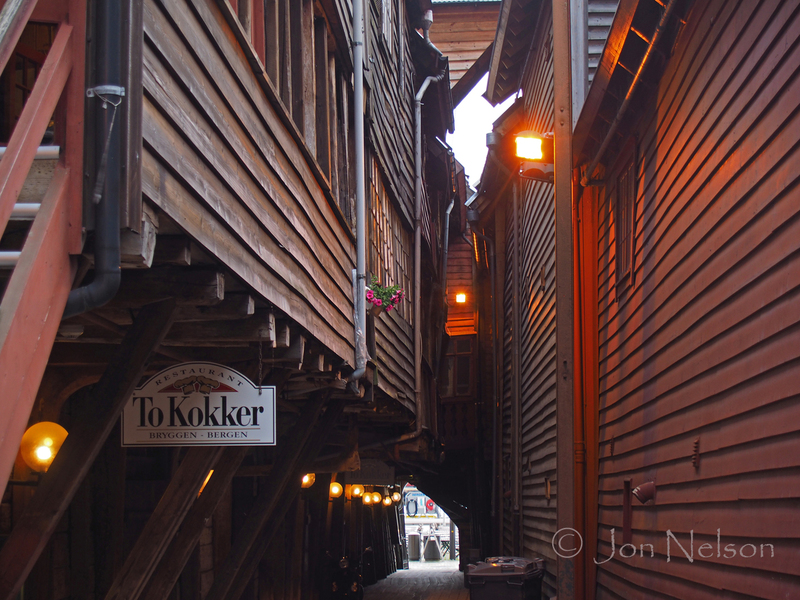 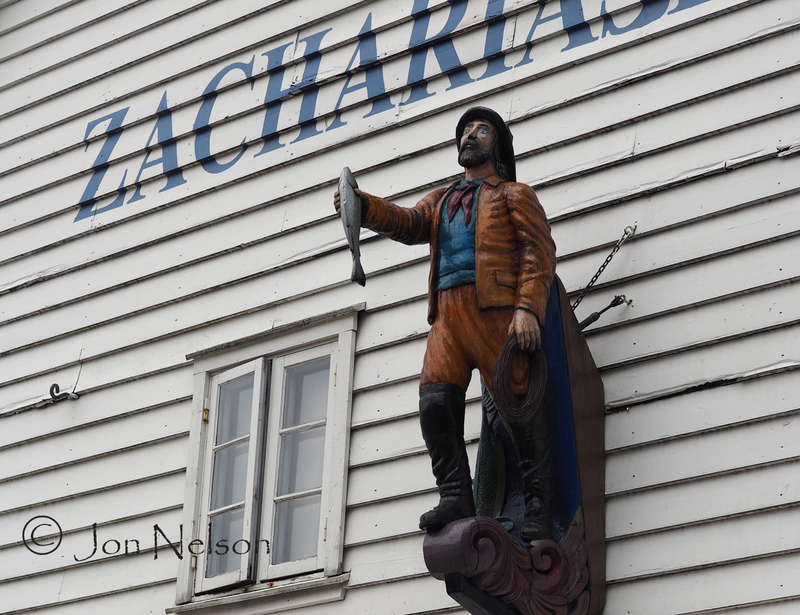 We spent a few days there exploring Bryggen, the old section of Bergen. 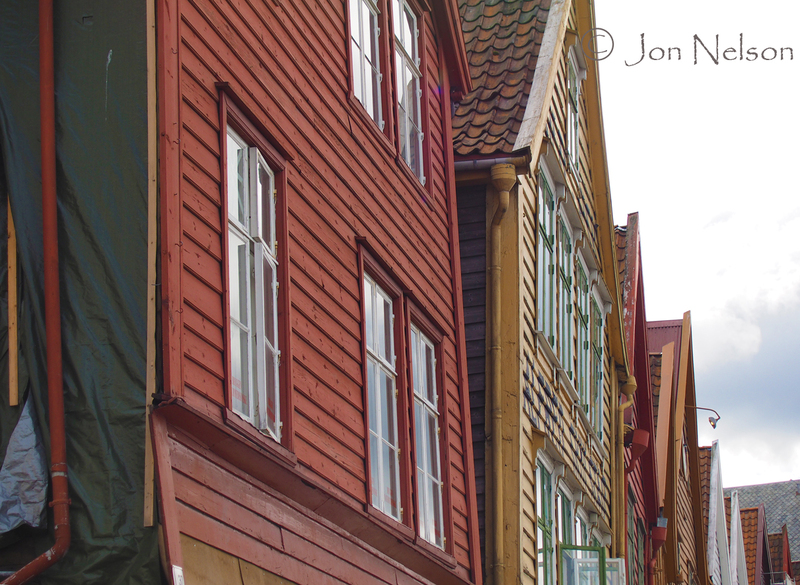 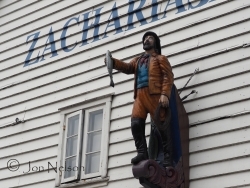 Bryggen is Norwegian for wharf and it’s warehouses – primarily for cod – date back to the Hanseatic League. 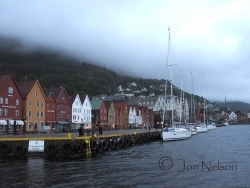 This area is now a World Heritage site. 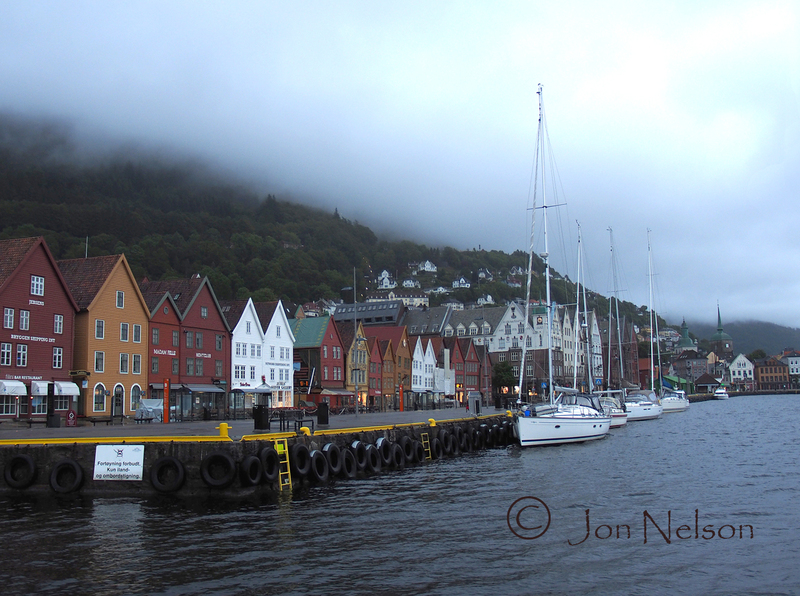 A grey, early morning in Bryggen, the old section of Bergen. The hallways in Bryggen are lined with shops. 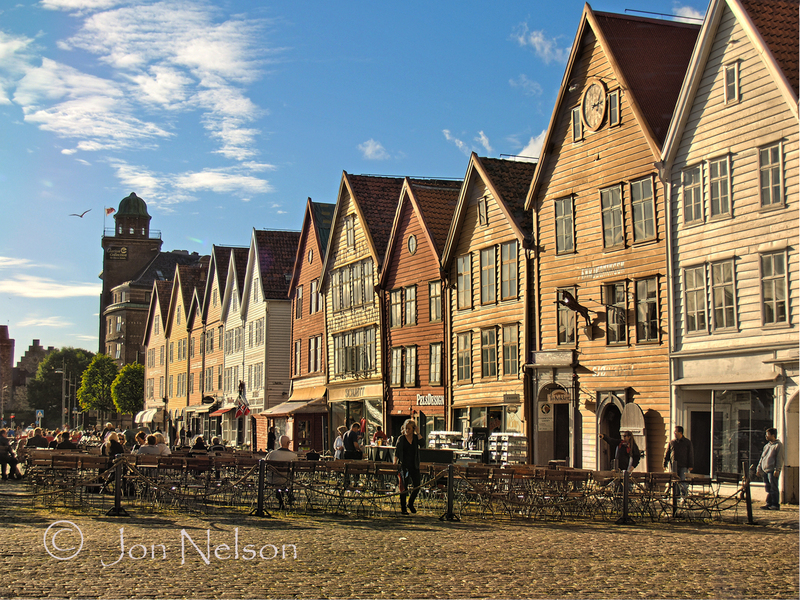 Across from Bryggen there is a section of Bergen that is a mixture of the old and the new. 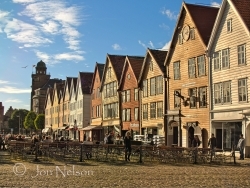 Fires have swept Bryggen numerous times and most newer buildings are made of brick and cement. 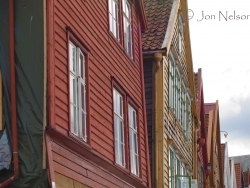 The original wooden warehouses were built in the 1500's. 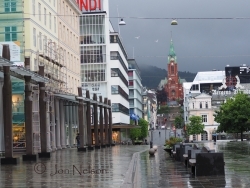 This main section of the World Heritage Site attracts scores of tourists even on a chilly June evening. 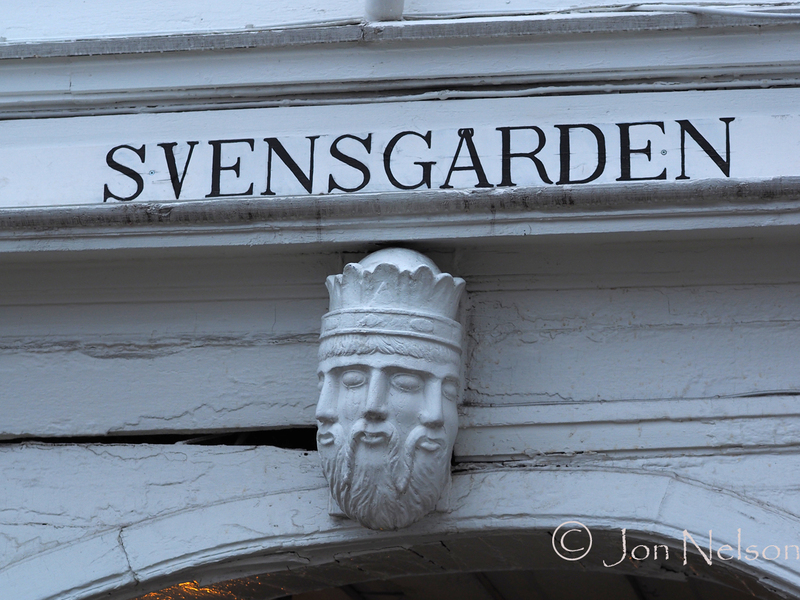 This three nosed man has overlooked the walkway below for over three hundred years. 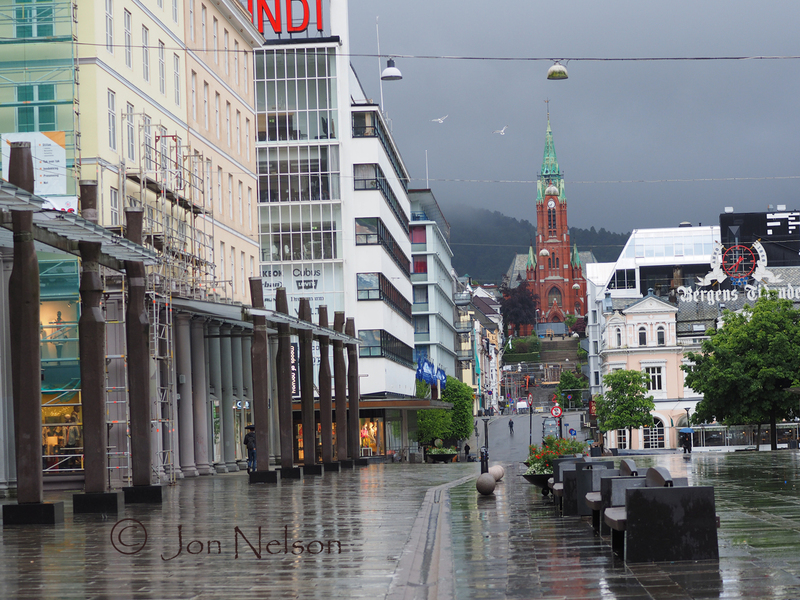 This statue is a reminder that cod was the reason for the existence for Bergen. Three hundred year old buildings tend to lean and sag.